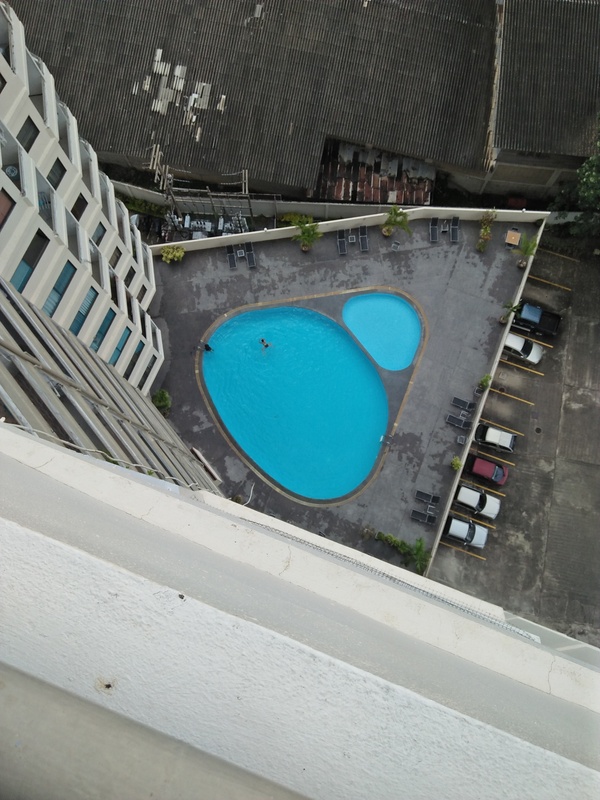 And the topic below this is how to buy and invest in property in Thailand - no foreigner is safe investing here and there should be no foreign investment proposed especially by the Embassies through the various associations they support. there are pools and there are pools. in 11 years the thrill of our pool has not worn off. I'm still remembering my buddy in North Carolina that got so fed up with pool maintenance that he just stocked his with big bass and crappies. Which made it the best pool I've ever experienced. It also increased his family's enjoyment of the pool and made his kids some of the most popular kids in their school. Very nice, however, I'd have to do about 200 turns in that pool to get the same level of exercise I do now. Isn't turning an exercise? At least you aren't going to find any boogers or bandaids in that pool. I have a beautiful garden, courtesy of the missus, it's her pride and joy, although I do run a mower over the lawn once a month. Takes me 30 minute, whew! where do I find the time? I've got one 50x-100x the size of yours and I don't have to lift a finger. Just get down from my tiny little box, and walk 200 meters. And mine's got a bike path, a jogging trail, rental boats and a never ending stream of cuties running laps (and smiling at me)... And it's always very nicely manicured. no need to present irrelevant drivel. most people live in homes because they prefer that specific comfortable environment to a condo and they have no plans selling. When people start getting abusive on TV, it's because they don't want to accept others may have a different point of view. It's called argument ad hominem. Then back to your tiny box, but hey, justify it anyway you like. Smiling, sure they aren't laughing? People who have chosen to buy a house get sick of having to defend their choice to the battery hens who live in condos. I was kidding about the little box. It's actually pretty nice. And yes, I'm sure they're smiling... I even meet and talk to a lot of them. Something I never did when my garden was in my back yard. Edit: You like your lifestyle. But there are others out there that appeal more to other people. And yes, I'm sure they're smiling... I even meet and talk to a lot of them. The pool gets cleaned and checked daily by one of the staff. Every month the surrounding deck is scrubbed by 5 cleaning staff. Never seen a booger or bandaid in it. Too many turns make me dizzy. Why be defensive? Just accept there are advantages and disadvantages to both modes of living, and move on. Battery hens? This rooster doesn't need Viagra. just stating a well known fact. Ah, the well known fact. If you hadn't indicated previously your German nationality, I might have taken you for a Trump supporter. Nope. Haven't brought one home yet. But in a city of 15 million, it's nice to recognize and wave at people I see on a regular basis, and even know a little bit about them. Hell, I've had hour long conversations with grandmotherly types, muscle bound guys and people who then hop into their Bentleys to drive home. I never met them in my backyard garden, no matter how fabulous I got my roses. I don't drink, don't smoke, and don't chase women for sport. Another lifestyle choice that works for me, but is loathed by some others. Live and let live. A slave? I bought a house here 8 years ago, I live in it with my partner, I enjoy the fact I can do anything I want in terms of decoration, garden, improvements etc, with no landlord dictating. Don't see myself as a slave. Certainly better than living in a box in a condo block. My small box for 12 months has 95 square meters, has a 10 m2 terrace and mountain view ..Then another 12 months I can spend with sea view in Thailand, Mexico or wherever I want. You will spend the rest of your life watching the same view. And when you go somewhere for a week you will worry about your property which is not really yours. You are a hostage in a land of smile .